Below is a list of current Crowborough and District Chamber Members, please click on the plus sign for full contact details. IT Solutions (software development) and bookkeeping. From a start-up business with just one employee to an established organisation with up to 500 employees, we offer a personal and friendly payroll service that is tailored to meet the needs of a business. We understand that people are an organisation’s biggest asset and the importance of ensuring they are paid correctly on time, every time. We are always happy to discuss how we can help, whether a business is looking to outsource their payroll function on a permanent or temporary basis. 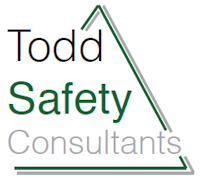 Health and safety advice and risk management for all businesses, specialising in construction. Are you content with your content? 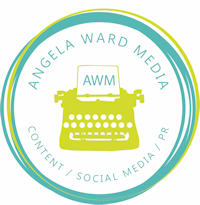 If generating content for your social media channels, website and newsletters is becoming a chore – then give Angela Ward a call. With 30 years’ experience in journalism and, latterly, public relations and social media, Angela provides a straightforward approach to content creation, as well as copywriting, social media and PR. Copywriting: Angela can turn her hand to all kinds of copy – from blogs and case studies to features and website content. Having come from a background in magazine publishing, she can also craft words for newsletters. PR: Angela works with clients to put them in front of both local and national media, identifying the types of stories both offline and online journalists are looking for. Social media: Angela works with her clients to set up and run social media accounts for them, creating and sharing relevant and engaging content. ASP is a well-established town planning consultancy based in the centre of Crowborough that acts for a wide range of clients, particularly across South and East England, but our instructions extend to most areas of the country. We have five Chartered Town Planners who are experienced in all aspects of planning and we act for a wide range of clients including landowners, developers, large and small commercial companies, local authorities, charities and private individuals, providing advice and guidance in all market sectors. We believe the aim of a planning consultancy should be to secure the best development for a site that meets the requirements of the client in a way that suitably respects the natural and technical constraints and takes reasonable account of the views and opinions of others. The aim of ASP is to secure the best solution in every case and to provide the highest levels of service to achieve this aim. The business world is changing. This is the age of digital transformation and to compete and win, your business needs to embrace technology and all it can do for you. You need to do business differently. Modern business is about doing more with less and automating business processes. It’s about utilising cloud computing to work from anywhere without compromise and as a team. It’s about turning meaningless data into powerful business insight. It’s about empowering your teams to do more. It’s about connecting people and creating exceptional customer experiences. And it’s about doing all of this securely and safely. It’s all of these things and more and we will work with you and your team to make your business a modern business. Astec’s cloud computing team work across Sussex, Brighton, Kent and London. Please get in touch with our technology and cloud computing specialists. Technology, business & design consultancy. Adam Miller founded Atomicity to help business owners grow and improve their companies. Combining creative technology solutions with beautiful design, our purpose is to make a tangible impact on your business. With over 15 years experience in the technology industry, delivering global technology & strategy projects for public-, private- and third-sector organisations, Adam brings deep-rooted expertise, innovative thinking and complete integrity to every client relationship. Where scale matters, or complementary skills are needed, Atomicity draws upon a network of exceptional, trusted partners in sectors including law, finance and the media. Chartered accountants offering accounts, tax return, payroll, book keeping, and audit services throughout Sussex and Kent. Residential property sales, lettings and management. Basepoint are pleased to be working in partnership with Crowborough Town Council to provide high quality managed workspace, focused on supporting existing SME’s and new business start-ups. The Centre, to be known as Pine Grove Enterprise Centre, will provide high quality offices to let on Basepoint’s flexible ‘Easy In, Easy Out’ terms and is due to open in 2019. In addition the Centre will also offer high-quality meeting room space, informal breakout areas and virtual offices. Vehicle leasing service, personal or lease. BG Motor services is a family run business on Farningham road. We carry out all aspects of work on all makes and models. We are a class 4 MOT centre. We also carry out all mechanical repairs, servicing , Fault diagnosis, Tyres, welding, air conditioning, Tracking and also local breakdown recovery. With extensive video production and marketing experience we are a local creative company who can help you from the initial concept of your project through the stages of storyboarding, scriptwriting, filming, music production, editing and promotion. No matter how large or small we address each project with enthusiasm and passion, engaging your audience through visionary storytelling. Working closely together we will help you increase your online presence and achieve your objectives. No project is too large or small from a video for your web site to filming a large scale event we can help with any filming project. Come and meet us for a coffee and a chat about your next idea. Carbon Cloud provide a range of IT services to small and medium businesses. We have a fully managed IT support service and our friendly service desk team are great at helping out users or resolving more complex infrastructure related problems. We help organisations to embrace modern cloud based technologies, from Microsoft's Office 365 for email and collaboration through to fully outsourced hosted cloud servers, we enable businesses to benefit from the flexibility and scalability of cloud computing. We have significant experience in the IT industry and are passionate about delivering great customer service alongside innovative technology solutions. Driving is a skill for life, so our aim is to ensure your training will make you a safe, considerate and confident driver with all the benefits that can bring. Established in 2005 an average of 40 pupils a year have passed their tests with us at a much greater than average first time pass rate. The majority of our business we are proud to say comes from recommendations. From the time you are picked up for your first lesson you will be learning to drive even before you get behind the wheel. We take great pride in ensuring lessons are running to schedule and are a full learning experience from beginning to end. All of your lessons will be conducted in a new high specification Citroen DS3 (Top Gear Car of the year 2011) with dual controls which replaced every 12-18 months and of course fully insured for teaching and test purposes. As a registered Instructor I can offer the post practical test Pass Plus course giving you the opportunity to re-visit your driving skill base with some helpful advice along the way including a session on motorway driving and gain some impressive discounts from some insurance companies. There is no test to take at the end of the 6 hour course, costing £160, and you will receive a certificate from the DSA confirming that you have completed the course successfully. Areas covered: Crowborough, Tunbridge Wells, Uckfield, Sevenoaks, Tonbridge, Haywards Heath, Burgess Hill and surrounding villages. Providing independent financial advice across all areas of financial planning – with a specialism in pensions and retirement. Helping clients to achieve their goals by listening, understanding, and providing truly solution driven advice. Dowling Consultants is owned and run by local businessman, Chris Dowling. The business offers a range of services to support all businesses, including access to government backed and funded growth programmes. With over 35 years of day to day business experience, Dowling Consultants has the knowledge and the contacts to help businesses grow and expand and become more profitable. We work with businesses at all stages of their development - start-ups, young businesses and established businesses. For start-up businesses, new business owners and those thinking about setting up on their own, we offer private One-To-One sessions to talk about ideas and the challenges and opportunities of starting and running a business – to deal with the questions and provide answers. The Christmas Decorators specialise in the design and installation of interior and exterior festive lighting and Christmas decorations and displays for businesses and residential properties. Based in Crowborough we are the local office covering East Sussex and parts of Kent and Surrey. We offer a professional service from design and installation through to maintenance and take down, removing the headache of Christmas decorating from you so you can enjoy the Christmas season. Youth & Senior Football Club Teams from U6 through to Senior level at Step 5 of the FA National League System. Renting rooms and facilities to the community and businesses. Private members social club, established over 100 years. 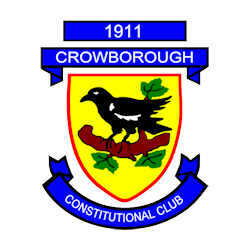 • Find us on Facebook at Crowborough Constitutional Club and on Twitter for the latest news and photos. Independent community magazine and business directory for Crowborough. 11,000 copies distributed every other month. A thriving community and amateur rugby club, supporting the development and enjoyment of rugby at senior, junior and mini age group levels. The club was founded in 1936 and benefits from a well-located and newly-built clubhouse (completed in 2011), which has excellent facilities for hosting occasions and events. Specialising in printing on Photo Paper, Vinyl, Canvas, Static Materials, Magnetic Bases, Flag Material, PVC Banner, Wallpaper and Table Coverings, Labels and Stickers and a huge range of useful substrates. Other products include - T shirts, keyrings, mugs, mousemats and various printed promotional items. For a full list of products, see the website www.demonskinz.co.uk. We supply printed and cut vinyl branding materials to make your business and services stand out from the crowd. Using the latest Roland Versacamm printers with four colour inkjet with white inks, we can produce fantastic quality printed and cut materials. From small individual die-cut stickers to large printed and cut graphics for vehicles, premises, shop windows, and exhibition stands, pop ups and PVC banners, we can promote your image to your potential customers. If you require short or long term interior or exterior signage, we can come up with a competitive solution to make sure you are using the right materials for the job to suit your purpose and budget. We provide a full design and artwork service, working with your input and images. Whether you require some short term promotional materials for a show or sale, or a major brand overhaul, we can improve the impact of your business branding. Our printers and cutters produce all your materials in full vibrant colour. We also offer in-house lamination to protect your graphics from the elements, chemicals and abrasion, although we do use vehicle grade weather proof vinyl for all outdoor vinyl sticker printing projects. DemonSkinz works in partnership with Spinaker Exhibitions to provide a full exhibition service. DemonSkinz are particularly keen on working with local businesses to help them develop their branding. Contact us for a no obligation quote at a sensible competitive rate to suit your budget! Architectural and interior design; planning applications, building regulations, contract administration for JCT contracts for our own projects. Specialists in listed buildings and conservation areas. Solicitors established in 2001 carrying out non-contentious work for individuals and businesses. Durban Dental Centre is committed to providing high quality and affordable dental care in a relaxed and caring environment . The dental team are friendly and efficient and we endeavour to achieve a high standard of work for you and your family. From a routine examination, emergency dental treatment, hygienist visit, a filling to cosmetic procedures, we take pride in our work and aim to have happy and satisfied patients with beautiful and healthy smiles. Plumbing and heating, gas appliance installation and service, bathroom and kitchen refurbishment. Consultant working with employers and owners of buildings to fulfil their statutory duty under relevant fire safety legislation and to carry out fire risk assessments for their buildings and sites. From branding and design through to brochure production and website creation (plus a great deal in between! ), Focus All Media have a truly one-stop approach for your offline and online marketing requirements and can be your media solution. We are happy to work within budget constraints and tight deadlines and all of our services are provided with full project management from start to finish, they also come with a guarantee of quality and customer satisfaction. Our standard mobile app production service is a low cost solution for a business requiring an app presence in the two key app stores for Apple & Android phones and tablets; branded and designed for your organisation and containing many great features, the app is ideal for Restaurants, Pubs, Schools, Hairdressers, Hotels, Social Clubs, Retailers and many more types of organisation, in fact it’s ideal for anyone with an audience who wants to send marketing and ‘call to action’ messages to their app holders! Please see our standard app pricing in the ‘Member to Member’ section on the Chamber website with your special member discount. 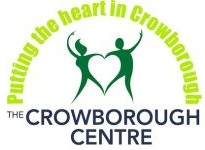 Crowborough leisure centre hosts a wide range of facilities suitable for all ages and abilities. Our facilities include a gym, 25m swimming pool, studios & health suite. We have a team of fitness instructors & personal trainers that can help you reach & conquer your goals. Crowborough leisure centre also offers a choice of children's activities from soft play to swimming and more! If you are interested in finding out more information about the centre please contact us on 01892 665488. 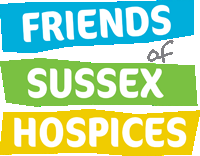 Friends of Sussex Hospices is a registered charity run entirely by volunteers. It raises funds, through a variety of activities, for the twelve hospice care providers that serve the adults and children of Sussex. It also promotes awareness of the invaluable services they provide. FSH has distributed £2.5 million to the hospices it supports and in June 2016 was awarded the coveted Queen's Award for Voluntary Services which is the equivalent of an MBE for voluntary groups. Fire Protection: alarms, emergency lighting, risk assessments, extinguishers etc. Shoe retail and repair selling ladies and men’s shoes/accessories, leather goods and children’s plimsolls and wellies. 2012 was the 60th anniversary of our opening; we also have another shop in Tunbridge Wells. Luxury handmade soaps, bath bombs and bath salts. The highest standards of comfort and security for residents, and a warm, friendly welcome for their family and friends. At Heather View, our care is very much be centred on the individual. We involve our residents in all aspects of their care and encourage them to continue making their own decisions about what they do and how they spend their time. In this way, they continue to feel valued, in control of their own lives and are able to enjoy living as independently as possible. The home also plays a large part in our residents’ sense of fulfilment and wellbeing. With quality furnishings and tasteful decor, our home has an atmosphere that is lively, yet homely, comfortable and secure. Our friendly, compassionate team ensure everyone living here feels relaxed and well cared for and residents’ families and friends are assured of the warmest welcome, whenever they choose to visit. Events Venue. Conferences, Meetings, Receptions. Horder Healthcare is the award winning charity that operates The Horder Centre, a centre of excellence for orthopaedic care that provides elective orthopaedics, pain management and musculoskeletal services (MSK) and wellness advice. It now carries out more NHS hip and knee operations than any other single site independent provider in the country. In addition to The Horder Centre, Horder Healthcare also has facilities in Tunbridge Wells, Eastbourne, Horley, Heathfield, and a newly opened centre at Seaford. MasterChef: The Professionals winner Steven Edwards recently opened the new kitchen and dining room at The Horder Centre and created a signature dish for the orthopaedic centre’s new menu. Every meal at the centre is cooked fresh on site and features seasonal ingredients from local suppliers. The Horder Centre’s philosophy is that fresh food and appealing dishes helps the wellbeing of patients and speeds up their recovery. The Horder Centre, which celebrates its 60th anniversary this year began life as a Centre for Arthritis in 1954, and saw its first operation performed 25 years ago. It consistently receives glowing standards’ reports from the Care Quality Commission and was recently awarded the Kitemark for Excellence for its standards of care by the Enhancing Quality and Recovery (EQR) programme for Kent, Surrey and Sussex. We provide outsourced HR support and advice for small and medium sized businesses. It is a local and a bespoke service. With 20 years' experience in HR, you will benefit from expert advice, specific to you and your business. We are party and wedding planners, we hire out items for the wedding day ie candy cart, centre decorations, helium balloons. We also offer hot or cold food buffet and have certificates in food hygiene and safety. A warm friendly welcome awaits all our customers. We are an independent firm of Chartered Building Surveyors and Registered Valuers based in Crowborough. The practice is passionate about providing great value service with professional advice given on all aspects of property. The practice prides itself on a team of competent staff who have a vast array of knowledge and in-house expertise. We specialise in providing services within the residential sector. The company portfolio includes large and small projects with a range of clients. Commercial property estate agents, surveyors and property managers specialising in East Sussex. Marketing all types of commercial property including shops, offices, factories, warehouses, investments and land as well as a wide variety of professional services including rating appeals, lease renewals, rent reviews and valuations. Also commercial property management including collection of rents and insurance premiums and running service charge budgets and running costs. a family run partnership established since 1988. With over 30 years experience, from major rock tours to West End theatre, Libra Audio provides equipment hire and installation services for all production and broadcasting needs. Productions include concerts, corporate events, cabaret and theatre shows, product launches, awards ceremonies, press conferences, sales & cooking demonstrations, trade fairs, weddings/funerals and school presentations/ show productions (engineer with CRB clearance). We have been the supplier of choice and provided equipment and engineers to the Summer Jazz on The Pantiles, Tunbridge Wells for the past three seasons. Installation experience in night clubs in Manchester, Brighton, London and Newquay, restaurants, such as Yuatcha and No Sako Hanna-London, churches, village halls, the Globe Theatre and The London Aquarium. We also supply & install AFILS (hearing loop/aid installations), we have installed in Village Halls, The Charleston Trust, Prince of Wales, Queens, Prince Edward & The Strand Theatres in London. We also incorporate a custom 'flight-casing' manufacture facility for all your equipment requirements. We are members of Production Services Association and the Broadcasting Entertainment Cinematograph & Theatre Union and hold full insurance cover including Public Liability. Holder of S.P.A (PSA) H&S Passport. 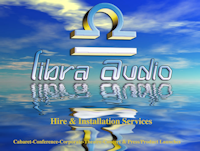 Libra Audio's services cover the areas of London, Hampshire, Berkshire, Buckinghamshire and the South East including Surrey, Sussex and Kent. VAT returns and payroll service. The Davis® Dyslexia approach is the most successful method worldwide with over 400 licensed Facilitators which has helped thousands of people of all ages. The Davis Approach is an exciting and positive way forward for people with learning differences. A one-to-one programme of around 30 hours enables effective learning customised to the individual’s needs. Dyslexics are highly aware of the environment, are more curious than average and think mainly in pictures instead of words. They are highly intuitive and insightful and think multi-dimensionally (using all the senses). They have vivid imaginations and can experience thought as reality too. Dyslexic students have a hard time remembering things that they do not fully understand. Repetition and drill are a waste of time and increases frustration because they will not retain information unless they understand where it fits into the “big picture”. Dyslexia: We can help people with dyslexia improve skills at school, at college and at work. Davis methods show you how to use your own natural thinking style to overcome problems with reading, writing, memory and organisation. Dyscalculia (Maths dyslexia): Davis facilitators will recognise your preferred learning style. Then, using the Davis methods, we show you how to understand maths activities through hands-on experiences rather than by repetition or learning by heart. AD(H)D: People with AD(H)D are frequently naturally inquisitive, they are good multi-taskers, therefore can be quick-witted and visionary. Moreover they are good lateral thinkers and, more often than not, courageous when it comes to taking risks. Dyspraxia: Dyspraxia, often referred to as clumsiness or lack of co-ordination, can cause poor time management, handwriting and sense of direction and, thus leading to taking a long time to complete tasks. A Davis Programme will help. The Davis® programme uses a person’s natural learning ability in a new way. Harness your creativity with this drug free, no drill, hands-on, multi-sensory approach, Simple techniques to control energy levels and experience how it feels to be able to focus and stay on task. An approach that puts the student (child or adult) in control of their dyslexia and shows then how to master whatever they want to learn. Please get in touch if you would like to find out more about the methods and how I could help you. Architectural Consultants. Established in 1983, the practice is a member of the Chartered Institute of Architectural Technologists. We serve Crowborough and many of the surrounding towns and villages, to advise and assist in projects, from residential to commercial in nature. Estate agent, chartered surveyors, lettings and management. Millbrook is a family run, independent Garden Centre company founded in 1979. We stock quality plants, shrubs and trees as well as all the other products to help your garden grow. We also sell furniture, BBQs, gifts, bird food and more and we have a lovely café serving breakfast, lunch and snacks throughout the day. Millbrook Water Gardens and Skinners Sheds are on site too. Along with our Garden Centre in Crowborough, we also have Centres in Staplehurst and Gravesend in Kent. New and used garden machinery sales, repairs and servicing. Digital and Litho printers. MILLENNIA GARDEN ACHINERY is a small, local family GARDEN MACHINERY business specialising in REPAIR, SERVICING and SELLING of used garden machinery especially ride-on mowers. Our tradeshows are uniquely positioned to provide your business with a fantastic new and exciting platform to market your organisation and brand in Sussex. Our business expos are an informative and invaluable event for you, a true insight into the power of networking and marketing, yet different in the way they encourage a relaxed, informal atmosphere. Estate management established for approximately 25 years. Get your business running like clockwork. We have the answers. With the modern office changing rapidly, and new means of communication, printing and storage at hand, each day brings new opportunities to improve your business operations.Newman Business Solutions is a team of experts who know business-critical technology inside out. We provide productivity-boosting voice, data and printing technology, and exceptional support to a wide range of organisations. Do you need to get internal print costs under control, find a better way of storing documents or provide extra support to your IT department? We have the strategic insight and expertise to help improve your efficiency and put you back in control of your systems.What’s more, with cost-savings of up to 30%, the outsourcing of services and the streamlining of internal systems make great financial sense too.The solutions we provide help reduce overheads, simplify office processes, and provide valuable peace-of-mind to businesses like yours every day.Please visit our website and view the short video to find out more. 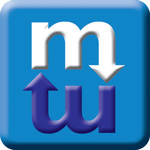 www.newmanbs.co.uk Work a better way. The very best professional advice, delivered clearly & simply to the highest standards of service. These are the principles at the heart of everything we do and the commitment we make to each of our clients. Whatever your property requirements, we are here to help. Whether you are taking your first steps as a new business looking for advice about starter units, a large established company negotiating a new lease or a seasoned investor seeking to expand your portfolio, we can take you through the options, providing balanced, honest and impartial advice to guide you through each stage of the process. Oldfield Smith offer a full range of services, with the knowledge and experience to deliver real world solutions to your property needs, however complex or unusual. This list is far from exhaustive and we can provide the full range of services larger companies usually source through a dedicated in house property department, although at a fraction of the cost. We work incredibly closely with our clients, so although we remove the burden of the work, they are always fully in control, with regular updates and reports. Talk to us in confidence and let us show you how we can help. Initial consultations are free of charge and without obligation. Choose from Fixed width or Fully Responsive. Have you reviewed your presence on the internet recently? Are you missing out on potential business because you do not have a website or is your current one letting you down? Is it in need of updating or redesign so you stand out? Is it EU Cookie Law compliant? Your company image is what defines you and the Internet is the place to be found. Every day, potential customers are looking for products and services online and if they cannot find you they will find your competitors. The Internet means that businesses can be found online, outside of the traditional market place area and normal trading hours, offering huge potential additional sales. OMD Websites provides hundreds of UK companies with their own websites. We offer value for money, effective 5 page websites that work for just £599 + vat; with design, creation, domain, hosting, search engine optimization and analytics all included in the price. All our websites are fully responsive so are design to fit any size screen on any device. Perhaps 5 pages are too many for your business. We also offer a single page website for just £299 + vat; ideal for having that all important presence on the World Wide Web! There is an online portfolio of a selection of our work at www.omdwebsites.co.uk. We do not use preformed templates but start from a blank canvass on every project, designing each website around the clients’ needs, existing marketing materials and logos. With over 30 examples on the site you can see the variation in the design and layout that we offer. At Open Door Digital we’re dedicated to helping you grow your business online. We expect you to see tangible results from all our work – developing your digital marketing should be an investment not an expense. Web design - We create objective-focused websites which work harder for your business. SEO - We’ll optimise your Google ranking to improve the quantity and quality of visitors to your website. Content - Let us unleash the power of engaging online content to meet your business objectives. Strategy - We’ll work with you to maximise your return from every penny you spend online. We are driven by a desire to deliver effective and engaging digital services for SMEs, without the huge price tag that comes with a traditional design agency. Our founding directors, James and Sam, bring a wealth of skills and experience and will oversee all work on your project. James is a MA qualified web architect with almost 20 years’ experience developing websites, content management and digital marketing strategies. Sam has a background in marketing and project management, balancing our technical expertise with a strong focus on your customers and business objectives. The starting point of our work is never to talk about what we can do, it’s to understand what our clients need. Only by understanding your business and your customers can we do the best job in optimising your online activities to achieve your objectives. So let’s chat! Orchard Blacksmith creates a vast array of custom exterior ironwork form gates, railings, benches and sculptures as well as interior ironwork such as companion sets, fire baskets, log backseats, shelving, balustrades and more. The business is stamping a new name on blacksmithing. Striving to push and create spectacular ironwork that will be used and seen for years to come. We are a private hearing aid consultancy supplying the very latest technology hearing aids. 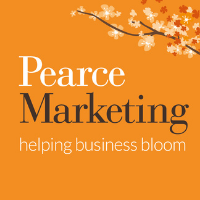 Pearce Marketing provides digital and traditional marketing consultancy, a flexible outsourced marketing service and a range of marketing and social media training. We work with start-ups and established B2B and B2C businesses in all sectors. We are passionate about understanding your customers and delivering cost-effective, personalised and measurable marketing activities. Is marketing on your to-do list… but you just keep putting it off? Your flexible outsourced marketing solution is right here! Pet and wild bird food and accessories. A Notary Public providing Notarial Services, in particular over the Kent/East Sussex borders. Mainly authenticating documents and ID for use in foreign jurisdictions. Pro-actions are a well-established coaching and mentoring company which helps SME owners realise their personal goals by maximising the potential of their businesses. We help our clients identify the things that are key to making their businesses achieve full potential and understand what they mean and how they fit together. Importantly we help them to take ownership of them so they can drive the right actions. This means they can see where and how to make improvements which we help them with - from sales, marketing and financial controls through to strategy and systems. Independent financial advisors and stockbrokers. Landlord and Tenant specialist with 20 years plus of Civil and Criminal Litigation experience. Interior refurbishments including: painting and decorating, installing new kitchens, carpentry and flooring. As Business Technology Specialists we stand in between the Business Technology and the Business Process, developing solutions and implementing them on both sides, integrating them together in the middle where inevitably the two need to meet. Relativity was founded in 1995 to help its clients maximise their intellectual and financial investment in technology. When implemented properly into the business process, technology solutions can deliver great rewards – our thorough research and planning makes sure the full potential is bought into one manageable project. All our clients are unique. Initial conversations allow us to understand their issues, quantify the opportunities, and present some first-draft solutions. These consultations are normally free of charge. We evangelise Cloud-based architecture whenever and wherever it can be applied. This technology can place your enterprise level systems in the hands of fully qualified partners and reduce your overheads. In turn, this can release more management time to concentrate on driving your business forward. If you’re interested in discussing any of the above services or think we can help you with anything else in your business, please contact us. Chartered accountants established 50 years. Accountants offering audit, financial accounts, payroll and business advice. Law firm specialising in Commercial Property, Corporate Commercial, Residential Property, Employment, Litigation and other professional services. Group and Personal Training Studio. We specialise in giving a personal experience while keeping the group/team environment. As Chartered Accountants and Chartered Tax Advisers, Swindells offers services and specialist skills that reach well beyond that of most regional practices. As well as providing the full range of audit, accounts and tax compliance services we also specialise in tax planning, investment and financial planning for private individuals and their families, corporate finance solutions for growing businesses and regulatory compliance for charities. Why should you choose Swindells? ● Because we have a great team of people and we are good at what we do. ● Alongside our Chartered Accountants we have Chartered Tax Advisers, Certified Financial, Planners & Trust and Estate practitioners dealing with specialist tax investment and financial planning. ● We seek to match the needs of our clients with the skills, expertise and understanding of our partners and team members. ● Formerly Swindells and Gentry, the firm has a trusted reputation and a 80-year history in East Sussex, with branches in Uckfield and Seaford. We are commitment to quality, reliability and integrity in all we do and have an extensive and loyal client base. From start–up to selling on, from setting up a company structure, to advising on tax saving for the individuals, from fund raising for growing businesses to advising on investments and estate management, Swindells looks at the figures, listens to the individual, and works to meet - and often surpass - expectations. Synergee is a firm of experienced chartered accountants, registered auditors and business advisers in Tunbridge Wells, Kent. But routine tax and accounting compliance work is just one element of what we do. We provide support, advisory and planning services that allow businesses and individuals to set, achieve and enjoy realising their financial goals. Independent funeral directors and memorial masons. Finance broker with 35 years experience in the finance industry. Arranging finance for any asset (including cars, commercial vehicles, office equipment and plant & equipment) on hire purchase, leasing or contract hire through a range of finance houses and and contract hire companies. TransFunk Furniture retail in Vintage and Antique furniture, transform unwanted furniture into funky, unique pieces which are for sale in their show room and they carry out customer requests to transform personal furniture. Independent travel agent, providing a customised professional service for all your travel needs. 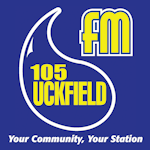 Uckfield FM has been on the air full time since July 2010. Having been a radio station on air for the towns festival in July since 2003, the group which is run almost all by volunteers was awarded a full time community radio licence for the Uckfield area in 2009. Although the station doesn’t broadcast into Crowborough, you can receive it online and also in the villages to the south of the town. The station has to raise its funding from various sources and not just through advertising or sponsorship. 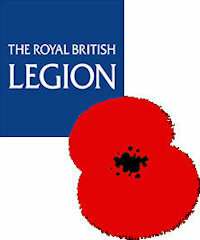 We have to raise money through quiz nights and also receive local and national grants. Uckfield FM offers local businesses a cost effective medium to advertise their products and services. Your business can have a professional 30 second commercial created from just £70+VAT and then you can have it played on the station from as little as £10+VAT per week. We take you through every step to get your business on the radio with little fuss. Development, manufacture of Surface Analysis instrumentation & services based on use and understanding Surface Analysis problems applicable on solid surfaces as well liquid, like water analysis. VMA Fitness run Martial Arts & Fitness classes for all ages. Taekwon-Do for various age ranges 3-5yrs, 6-8yrs, 9-11yrs, 12-15yrs, 16yrs+ as well as Fitness Kickboxing for 12yrs+. Mindset & Meditation for 16yrs+, Kettlebell Sessions for 16yrs+ and Legs, Bums and Tums for 16yrs+. Come and get inspired by a wonderful group of instructors who will motivate you and help you to enjoy exercise. 140sq Metre fully matted studio, reception area, changing rooms, toilets and shower and a Treatment Room for Sports Massage Therapy. Relaxed retirement living in superb accommodation with the highest standards of care, support and customer service given by NVQ trained staff. Purchased by the current owners, Mr & Mrs Lewis, in 2001 and situated south of Crowborough with far reaching views of Ashdown Forest. College of counselling and psychotherapy and expert witness work, therapy, supervision and counselling. Employment Law Solicitors - Tribunal Specialists. We give sharp commercial advice to businesses and individuals on all aspects of Employment Law. Are you looking for copy and content that makes your business stand out from the crowd and wins you more clients and customers? Book your FREE no-obligation meeting now! A teacher and mentor of creative writing, writing for well-being and English skills. Also offering business and apprentice support courses, training for teachers and trainers (Award in Education and Training) and small book publishing business, “Quill and Apple Publishing”. 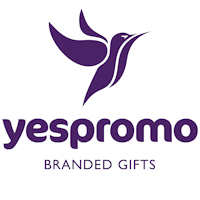 Yes Promo Products supply personalised products to assist you to promote your company in an effective way. These can be branded promotional products (pens, mugs, umbrellas, mousemats etc), conference items (bags, pens, bottles of water or pads of paper), corporate gifts, awards and clothing such as workwear , hospitality and schoolwear; all of which can be printed, embroidered or engraved. We also offer all printed items such as bespoke calendars, roller banners and literature from business cards through to marketing brochures. We can supply a range of promotional catering items which include branded napkins, tablecloths, tea-towels crockery and cutlery, place mats and ‘pub’ umbrellas.